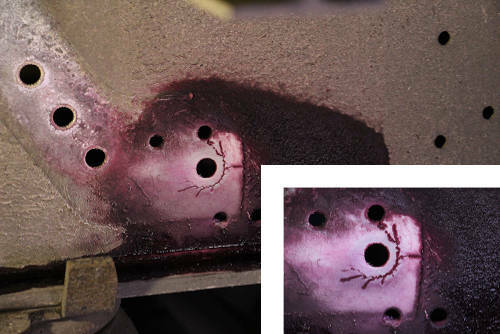 The 1st (and 3rd) step in the Weicon Crack Testing Dye Penetrant Flaw Identification System. Used to clean surfaces before application of the penetrating spray. Powerful, special cleaner that can be used to metals, ceramic, glass most plastics and more. Effectively cleans oil, dirt, dust and other soiling. Evaporates without leaving any residue. Our Weicon Crack Testing Agent – Cleaner Spray is an important part of our Crack Testing Dye Penetrant Flaw Identification Kit. 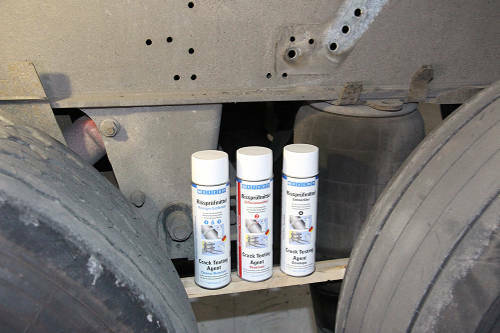 This high-powered, industrial cleaner is used to clean the surface being tested and, again, after the penetrant has been applied to clean away any excess penetrant spray. Manufactured by Weicon in Germany, this cleaner is the result of their decades of experience with making industrial cleaning sprays and is both effective and easy to use. It cleans dirt, oil, dust and other types of soiling that could otherwise affect the test. It also evaporates without leaving behind any residues which results in less clean-up. 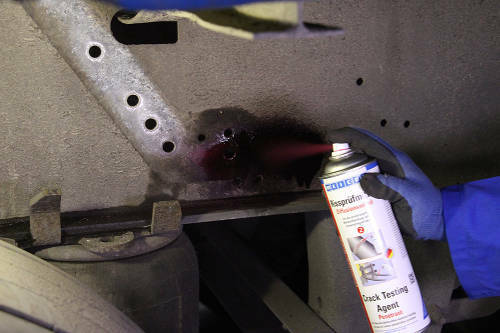 Our Crack Testing Agent Cleaner can be used on all types of metal, welds, ceramic, glass and most types of plastic. If you’re checking for flaws on a particularly sensitive plastic material, we suggest conducting a cleaner test on an invisible portion just to be on the safe size.